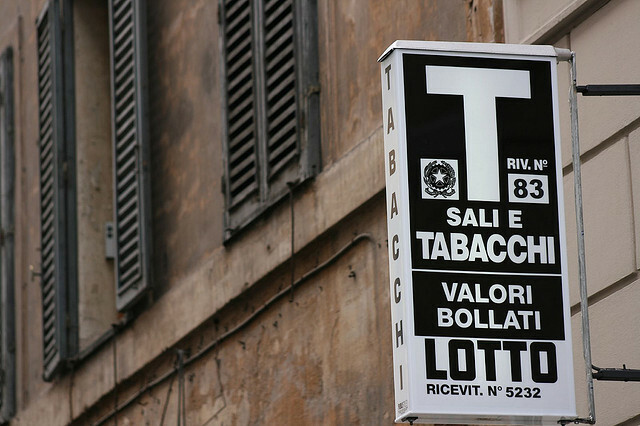 In Italy, the best place to buy cigarettes is at a Tabaccheria (tobacco shop), and fortunately for tobacco users, it’s not difficult to find one. The best way to find a Tabaccheria is to simply walk into the center of town and look for a large sign with a big “T” on it. 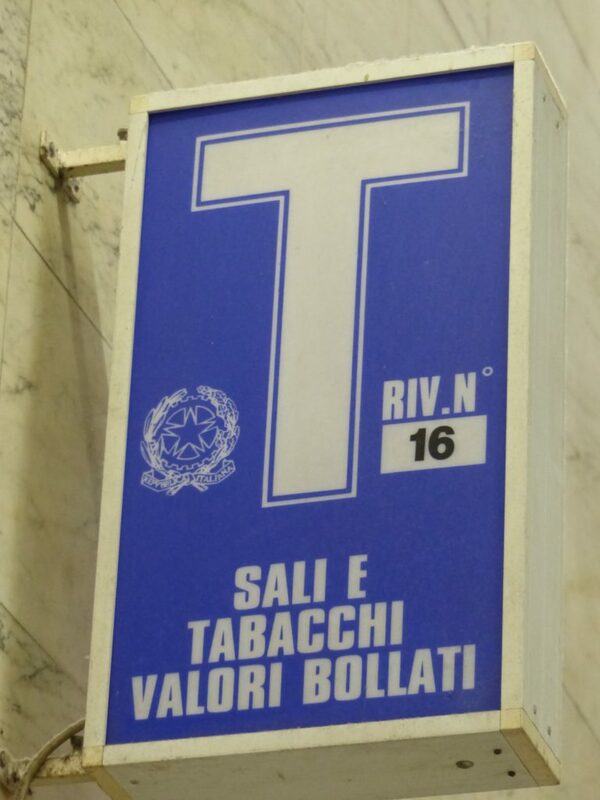 However, out of all the times I ever looked at the “T” sign, I never paid attention to the words, “SALI E TABACCHI VALORI BOLLATI”. What exactly do they mean? The literal translation is: Salt and Tobacco, Revenue Stamps. “VALORI BOLLATI” (revenue stamps) is strange to comprehend as an American. I asked my wife what it is and she explained that if, for example, she needs to obtain a marriage certificate from the court, or a passport replacement, or some other official document from the town hall, she would first need to obtain something called a Marca da Bollo, which is a type of Valori Bollati. Basically, it is a tax or government fee that needs to be paid, and this is done at the tobacco shop. Once paid, you get a stamp that you present to the town hall to obtain the requested document. I asked my wife, “why not just pay the fee directly at the courthouse like we do in the United States?” She explained that this is the way it works in Italy because tobacco shops are controlled by the government and licensed to sell these types of stamps, sort of like how the U.S. government regulates the lottery. Seems strange to me though to pay for a marriage certificate at the tobacco shop simultaneous with buying a pack of Marlboro Lights. But what about the word “SALI” (salt)? 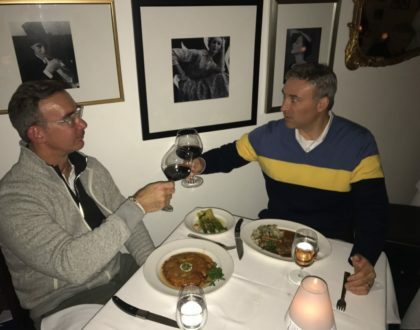 According to a friend from Florence, salt is not sold at tobacco shops anymore, but it used to be when the sale of salt was regulated by the government up until 1976, and no one ever bothered changing the signs. Interesting, right? But what I found even more interesting is how the presence of salt throughout history as a government-regulated commodity contributed to the cultural discord between the people of Florence and the people of Pisa. 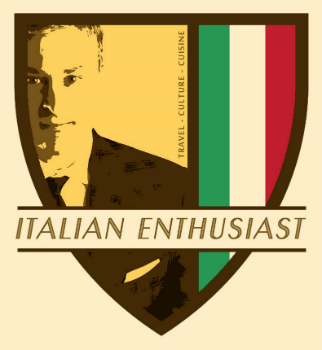 For example, as stated in my blog post, Stereotypes of Italians in the Minds of Italians (http://italianenthusiast.com/the-stereotypes-of-italians), people around Italy say, “it is better to have a dead person inside the home than have a person from Marche at the front door” (meglio un morto in casa che un marchigiano dietro la porta). This saying came from the frustration Italians had against people from the region of Marche, who acted as tax collectors for the Pope. No one wanted them knocking at their door. Florentines, however, have their own slightly different version of this saying, and it is directed at the people from Pisa instead of the people from Marche. Florentines say, “it is better to have a dead person inside the home than have a person from Pisa at the front door” (meglio un morto in casa che un pisano all’uscio). 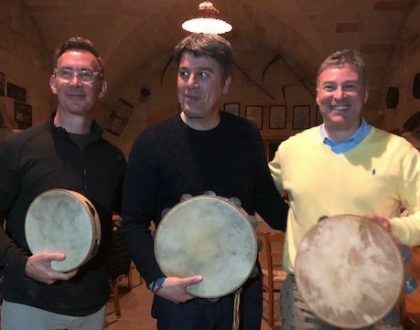 The reason for this (as explained to me by a Florentine), is that years ago, the people from Pisa (pisani) used to control the government taxation, including the taxation on salt. Florentines did not like this, and as a result, they developed a dislike towards the people from Pisa. Also, Florentines decided to make their bread without salt, since they did not want to be taxed. That is why to this day, when you are served traditional Florentine bread at a restaurant, there is no taste of salt. I’m sure there is a lot more to the story, so if anyone has any other information, I would love to hear it. I just know that the tobacco signs are antiquated, but then again so is the rest of Florence, which is what makes it so beautiful and charming. So if it were up to me, I would never change the tobacco shop signage! … and it’s definitely True! I remember that I had to go to the Tabacchino to get stamps to mail letters back home to Texas when I was playing baseball in Torino..and that they were called Francobolle…which made me think of the Franking privileges that the US Congress has (free mail)..